The JET Collective perform the complete ‘Derbyshire Suite’, consisting of 13 pieces of music reflecting inspirations from the landscape, ancient stone circles, morris dancing, folk customs, to industrial heritage and modern commerce. They bring influences from folk, rock and classical, all with a strong jazz background. Get your tickets as soon as you can, or pay on the door. £7.50 or £9 on the door. 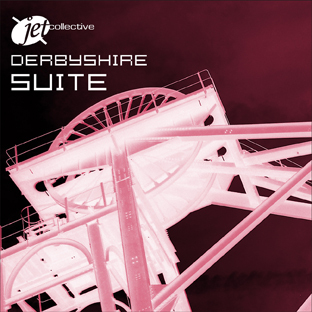 The recently released studio recording of the ‘DERBYSHIRE SUITE’ will be available on CD at the performance, from the JET Collective directly, or available to download from i-tunes, amazon and other online sites. Praise for the JET COLLECTIVE & the ‘DERBYSHIRE SUITE’.